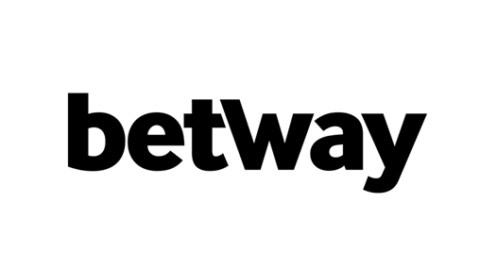 This KwikBet Kenya review covers details on how to register with KwikBet, how to deposit funds on KwikBet, and generally tackles all information on how to play KwikBet. 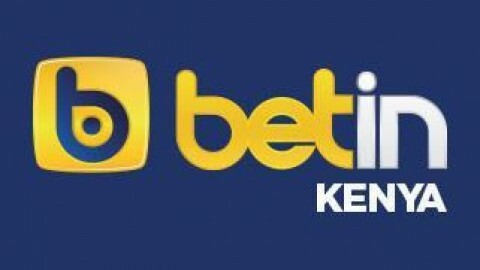 KwikBet Kenya betting site is owned and operated by the SOLAMI Limited which is licensed by Betting Control and Licensing Board of Kenya (BCLB) under the Betting, Lotteries and Gaming Act, Cap 131, Laws of Kenya BCLB NO: BK0000061. KwikBet Kenya is one of the relatively green Kenyan betting sites but experiencing quite a large amount of traffic due to thousands of Kenyan punters registering with KwikBet every single day. 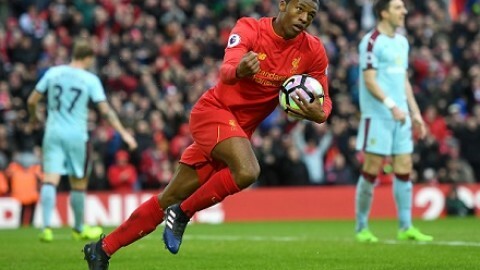 KwikBet Kenya betting resources provision revolves around sports betting with a KwikBet jackpot and the KwikBet league to act as a motivator encouraging more KwikBet registration. KwikBet line entails a diverse collection of events with most of the world’s prominent leagues featured. 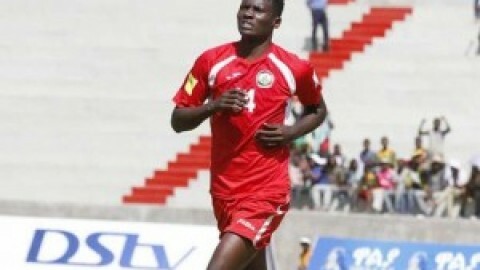 However, despite KwikBet Kenya having thousands of betting options, the betting site hosts few numbers of markets that’s the sports betting and the Kwik league market with the KwikBet Sports betting market covering American football, Basketball, Rugby, Soccer and Tennis only. KwikBet does not offer any special offers all extreme premium features such as live streaming, live betting, statistics… and their promotions, as well as bonuses, are limited more like not available. 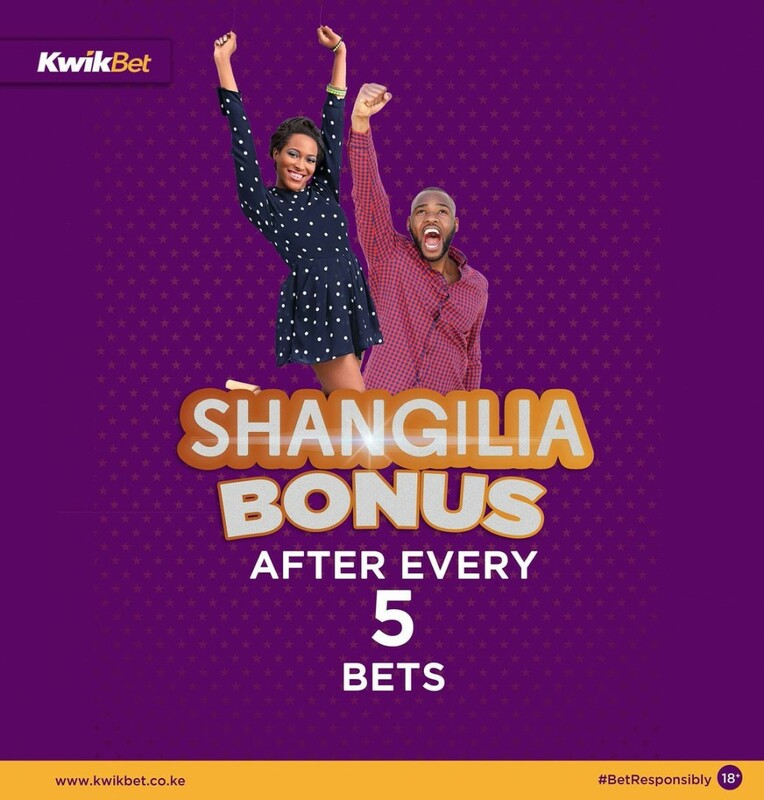 However, KwikBet has earned the punter’s loyalty following the introduction of the low budget jackpot where punters need to stake with only Ksh.30 while most other Kenyan bookmakers like SportPesa have maintained the Ksh.100 minimum stake policy in their jackpots. Additionally, the KwikBet’s Kenya Kwik league market is way easier to play than most other virtual markets in the Kenyan betting industry thus both newbie and pro punters have quite an easier time staking and a higher chance to win in the Kwik league Virtual market. 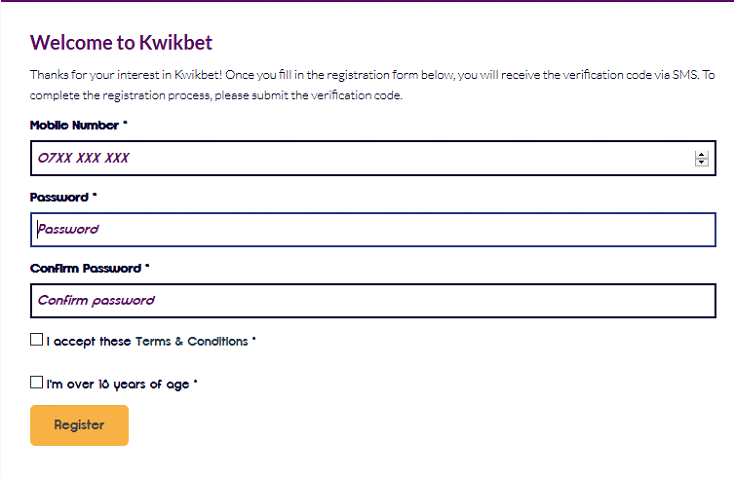 To access the KwikBet Kenya resources in your gambling venture, one ought to understand how to register at KwikBet and fulfill all KwikBet registration disclaimer requirements. ⦁ Visit the KwikBet Kenya official site at https://KwikBet.co.ke/ . ⦁ Then click on the “Join Now” button on the top right of the bookmaker’s home page. The newbie KwikBet user is redirected to the KwikBet’s registration page. ⦁ Fill in the requested details which entail; Phone number which will be your username and secure your account with a password. ⦁ Finally, accept the terms and conditions and also check the box to concur that you are over 18 yrs and hit the “Register” button to complete the KwikBet registration process. ⦁ SMS “KWIKBET” to 29028. ⦁ You will receive a confirmation message from 29028 confirming that you are now registered and ready to bet. ⦁ Go to the Mpesa Menu and select Lipa na Mpesa. Punters can also deposit via KwikBet online deposit method as KwikBet has linked their payment resources with the mobile payment systems thus just Login to your account and click on ‘Deposit’, enter the amount and then click on ‘Top Up Now’. The deposit request will be processed instantly and the amount deducted from the user’s mobile accounts then credited to the Punter’s KwikBet account. After this deposit operation, KwikBet users are advised to refresh their accounts for the credited cash to reflect. One can check their KwikBet balances (Account/Bonuses balance) at the top right position of their accounts or else send an SMS request to KwikBet. Therefore to check your balance, SMS the word BALANCE to 29028 and to check your bonus balance, SMS the word BONUS to 29028. KwikBet allows SMS and online betting options and the popular staking means used by most punters is the KwikBet Online betting. To bet with KwikBet online just navigate to the event of your choice, click on the +18, + 24 button displayed on the extreme right of the betting options to access all markets for the particular market. Then proceed to click on your bet selection and the pick will be automatically updated in a bet slip where the punter should specify their stake and click on “Place bet” button and the bet is automatically placed. 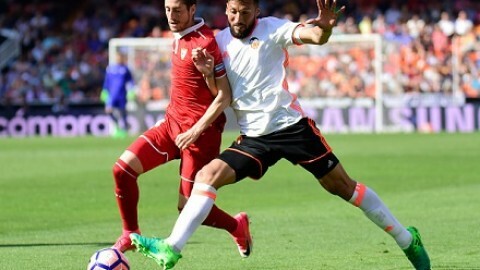 Online betting is possible for all markets that’s normal pre-match KwikBet sports markets and the Kwik league. Unlike Online betting, KwikBet SMS betting is only possible on sporting events and most prominently under soccer events. To bet on your team, SMS KWIKBET to 29028 and you will receive current football match fixtures and their ODDS. To receive more games simply SMS KWIKBET to 29028. The more you SMS the more games you receive. 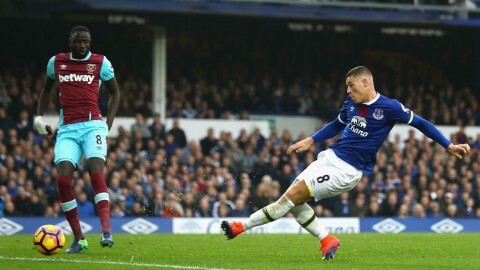 The KwikBet single SMS bet format is; GAMEID#PICK#AMOUNT and the multi-bet format is GAMEID#PICK#GAMEID#PICK#AMOUNT. That’s in the order 123#1#200 to 29028 and 123#1#456#X#200 to 29028 respectively. KwikBet’s service provision is okay so far despite the bookmaker missing out on many features such as live betting, Mobile app betting amongst other premium features. The KwikBet website is well optimized and fully developed thus making it possible for KwikBet punters to access the betting site’s resources with limited setbacks.